Lodha Bel Air: Celebrity homes in Mumbai! Lodha developers have launched a beautiful new project called the Lodha Bel Air in Mumbai. The project is at one of the best locations in the Western Suburbs, and has beautifully designed homes that give you a celebrity lifestyle. The homes are surrounded by large green spaces, and have Art Deco architecture which lends an air of elegance to the whole complex. The residential project has been designed by one of the most celebrated designers in India today, Ashiesh Shah who is famous for designing glamorous projects for Bollywood’s hottest stars like Hrithik Roshan, Aditya Roy Kapoor, Katrina Kaif and Jacqueline Fernandez. The designer’s latest creation Lodha Bel Air, offers a luxurious experience to home buyers. Lodha Bel Air Mumbai brings together both modern and classic with Art Deco styled heritage architecture. Designed by Hafeez Contractor, the project is inspired by the buildings along the Marine Drive and the Oval Maidan and has grand entrances, rounded balconies and facades. The project is located near Lokhandwala Complex and Film City, and offers close proximity to important destinations like CBD, Airport, Film City,Western Express Highway, JVLR, SV Road, New Link Road, Lokhandwala, Andheri, Infinity Mall, Inox- Inorbit Mall, Oberoi Mall, Nirlon Knowledge Park, BKC, PVR-City Mall, Star Bazar, Malad Mindspace, Solitaire Park, among others. The residential complex has 2, 2.5 and 3 BHK spacious apartments which come with an array of amenities including fully Air-conditioned homes with split unit A/C, European style sanitary ware, imported marble flooring for living, dining, passage and bedrooms, and CP fittings from Kohler/Isenberg. The project has a state-of-the-art clubhouse, gymnasium, heated indoor pools, café and party lounge, cinema and auditorium, grand entrance lobby with finest finishes, as well as a designer lift lobby on each floor. The amenities included inside the project are yoga Deck, Jogging Track, Kids Play Area, Swimming Pool, tennis court, gymnasium, clubhouse, BBQ area, well-maintained garden, amphitheatre and much more. The homes have been designed keeping in mind the needs of home buyers. There is 3 tier security as well as reserved parking, as well as complete security measures that will help you live a worry-free life. Lodha Bel Air is one of the most important projects in the area, and is coveted by home buyers and investors alike. The homes are desired due to its location advantage as well as the finest amenities available to buyers. The complex is in close proximity to a number of schools, hospitals, colleges, bus stand, malls, banks, ATMs and railway station. 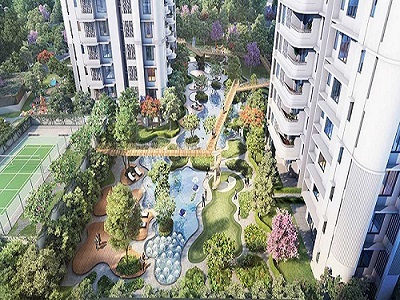 Lodha Bel Air price starts at just Rs 1.74 crores and the developer is offering a number of easy payment plans for buyers. The residential project comes with the assurance of Lodha group which is known for developing innovative and luxurious projects for home buyers. So, hurry and book your dream home now in Mumbai!